■AC (Alternating Current) – Electrical current in which the direction is reversed at regular intervals or cycles; in the U.S. the standard is 120 reversals or 60 cycles per second. ■Accommodation – The involuntary muscular process by which the eye changes focus from one distance to another. ■Adaptation – The involuntary process by which the visual system changes its sensitivity, depending on the luminances prevailing in the visual field. The process involves both the iris and the light sensitive cells of the retina. ■American National Standards Institute (ANSI) – A consensusbased organization which coordinates voluntary standards for the physical, electrical and performance characteristics of lamps, ballasts, luminaires and other lighting and electrical equipment. ■ANSI Codes – These are 3-letter codes assigned by the American National Standards Institute. They provide a system of assuring mechanical and electrical interchangeability among products from various manufacturers. ■Argon – Inert gas used in incandescent and fluorescent lamp types. In incandescent light sources, argon retards evaporation of the filament. ■Average Rated Life – An average rating, in hours, indicating when 50% of a large group of lamps have failed, when operated at nominal lamp voltage and current. Manufacturers use 3 hours per start for fluorescent lamps and 10 hours per start for HID lamps when performing lamp life testing procedures. The life of an LED is defined as the operating time in hours for the lamp to reach L70 which designates 70% lumen maintenance (or 30% reduction in initial light output). Every lamp type has a unique mortality curve that depicts its average rated life. ■Ballast – The ballast is an auxiliary electrical device that performs two basic functions: 1) provides the starting voltage and 2) limits the current to sustain lamp operation. There are several types of ballasts including Instant Start, Programmed Start, Pulse Start and Rapid Start (see definitions). ■Ballast Factor – The percentage of a lamp’s rated lumen output that can be expected when operated on a specific, commercially available ballast. For example, a ballast with a ballast factor of 0.93 will result in the lamp’s emitting 93% of its rated lumen output. A ballast with a lower BF results in less light output and also generally consumes less power. ■Beam Angle – The beam angle defines the light pattern around the beam’s central out to the angle where the luminous intensity (brightness) is half that of the maximum luminous intensity (CBCP – center beam candle power). ■Burn Position – The position in which a lamp is designed to operate in; this applies mainly to High Intensity Discharge lamps. Capacitor – Device in ballast that stores electrical energy. Often used for power factor correction and lamp regulation. 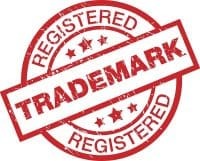 ■CE (Conformité Européene) – CE Marking on a product is a manufacturer’s declaration that the product complies with the essential requirements of the relevant European health, safety and environmental protection legislations, in practice. ■Candela (cd) – The measure of luminous intensity of a source in a given direction, regardless of distance. ■Center Beam Candlepower (CBCP) – The luminous intensity at the center of the beam of a reflector lamp. Measured in candelas. Chromaticity – Measure to identify the color of a light source, typically expressed as (x,y) coordinates on a chromaticity chart. ■Color Corrected – Refers to a lamp with a special phosphor or coating to give it a color rendering profile similar to natural daylight. ■Color Rendering Index (CRI) – A lamp’s ability to render an object’s true colors based on a scale of 100. ■Correlated Color Temperature (CCT) – A numerical measurement of the color appearance of a light source measured in degrees Kelvin (K). It also refers to the way color groups are perceived (psychological impact of lighting). A low color temperature implies warmer color (more yellow/red) light while high color temperature implies a cooler light (more blue). ■DC (Direct Current) – A type of electrical current and distribution by which electricity flows in one direction through the conductor. Battery operated systems are typical DC applications. ■Dichroic Reflector – A reflector (or filter) that reflects the visible light region of the spectrum while allowing the other region(s) (heat) to pass through the back of the lamp. A reflector lamp with a dichroic reflector will have a “cool beam” since most of the heat has been removed. ■Discharge Lamp – A light source that produces light by passing a current between electrodes through a vapor or gas. Includes fluorescent and high intensity discharge lamps. ■Driver – A self-contained power supply that has outputs which match the electrical characteristics of the lamp. It is similar to a ballast and is used to power illumination sources. ■Efficacy – A measurement of how effective a light source is in converting electrical energy to lumens of visible light. Expressed in lumens-per-watt (LPW) this measure gives more weight to the yellow region of the spectrum and less weight to the blue and red region where the eye is not as sensitive. ■Efficiency – The efficiency of a light source is simply the fraction of electrical energy converted to light, i.e. watts of visible light produced for each watt of electrical power with no concern about the wavelength where the energy is being radiated. For example, a 100 watt incandescent lamp converts 7% of the electrical energy into light; discharge lamps convert 25% to 40% into light. The efficiency of a luminaire or fixture is the percentage of the lamp lumens that actually comes out of the fixture. ■Electrical Testing Laboratory (ETL) – Independent testing laboratory that performs ballast tests and certifies accuracy of performance data. ■Electromagnetic Spectrum – A continuum of electric and magnetic radiation that is characterized by wavelength or frequency. Visible light encompasses a small part of the electromagnetic spectrum in the region from about 380 nanometers (violet) to 770 nanometers (red) by wavelength. ■Enclosed Fixture Rated – See Open Fixture Rated. ■Energy Independence and Security Act (EISA) 2007 – The Energy Independence and Security Act of 2007 was signed into law on December 19, 2007. The act builds on the progress made by the Energy Policy Act of 2005 (EPAct) in setting out a comprehensive energy strategy for the 21st century. This act is a major step toward reducing our dependence on oil thereby increasing our energy security and making our country cleaner for future generations. An update was issued in 2009 for Incandescent Reflector Lamps and General Service Fluorescent Lamps. ■Energy Policy Act (EPAct) – Energy legislation passed by Congress in 1992 and updated again in 2005, mandating labeling and minimum energy efficiency requirements for many commonly used incandescent and fluorescent lamps. Please note, the Energy Independence and Security Act of 2007 (EISA 2007) and Executive Order (E.O.) 13423 have been issued subsequent to the passage of EPAct 2005. See Energy Independence and Security Act (EISA) 2007. ■Federal Communications Commission (FCC) – The U. S. Federal agency that regulates emissions in the radio frequency portion of the electromagnetic spectrum. Part 18 of the FCC rules specifies electromagnetic interference (EMI) from lighting devices operating at frequencies greater than 9 kilohertz (kHz). Typical electronicallyballasted compact fluorescent lamps operate in the 24 – 100 kHz frequency range. ■Field Angle – The angular dimension of the cone of light from reflectorized lamps (such as R and PAR types) encompassing the central part of the beam out to the angle where the intensity is 10% of maximum. See Beam Angle. ■Filament – Wire used in incandescent lamps, usually made of tungsten and often coiled, that emits light when heated by an electrical current. ■Footcandle (fc) – The unit of measure for the density of light on a surface. One footcandle is equal to one lumen per square foot (lm/ft2). One footcandle = 10.674 lux. ■Glare – Glare is an interference with visual perception caused by an uncomfortably bright light source or reflection within one’s field of view; a form of visual noise. ■Halogen – A group of inert gases, particularly Bromine, which is used to reduce the amount of tungsten that plates the interior wall of the lamp. At high temperatures, the halogen reacts with the tungsten to form tungsten bromide freeing tungsten from the wall and redepositing it onto the filament. ■Halogen Cycle – A regenerative cycle of tungsten and halogen atoms, which prevents blackening of the lamp envelope during the life of the lamp. See Halogen. ■High Lumen – Lamps that operate with higher lumens (brightness) than the standard model. ■High Output Fluorescent (HO) – Fluorescent lamps designed to be used with an 800 milliampere ballast. These lamps are able to operate at low temperatures (down to 0oF) and still produce high light levels. ■Illuminance – The total density of visible light – from all directions – illuminating, falling on or incident to, a surface; one lumen per square foot equals one footcandle (lm/ft2), while one lumen per square meter equals one lux (lm/m2). ■Initial Lumens – The measured luminous output of a new light source. ■Instant Start – A type of fluorescent lamp-ballast circuit designed to start fluorescent lamps as soon as the power is applied. Originally, instant-start circuits were developed to eliminate separate mechanical starter devices. ■Integrated Circuit (IC) – IC-based CFLs operate by controlling the voltage and current by adjusting the output frequency which provides stable operation of the CFL. Controlling the current produces less stress on the cathode and the electronic components, which results in long life, smoother dimming, and less noise. ■IP65 – The protection of enclosures against ingress of dirt or against the ingress of water is defined in IEC529 (BSEN60529:1991). The first digit in the rating is the protection against contact and foreign bodies. The second digit in the rating is the water protection factor. IP65 indicates a lamp is totally protected against dust and protected against low pressure jets if water from all directions –limited ingress permitted. ■Kelvin – The Kelvin unit is the basis of all temperature measurement. In lighting, Kelvin is the unit of measure for color temperature used to indicate the overall color of the light produced from a source. See correlated color temperature. ■Kilowatt (kW) – The measure of electrical power equal to 1000 watts. ■Krypton – A noble gas used in lamps, typically Krypton lamps offer brighter, whiter light than standard incandescent. ■Lamp – The lighting industry term for a complete light source package, typically referred to by consumers as a “bulb”. ■Light Center Length (LCL) – The distance between the center of the filament, or arc tube, and a reference plane – usually the bottom of the lamp base. ■Light – Radiant energy that stimulates the sense of sight. The “visible” part of the electromagnetic spectrum from 380-770 nm. Light is the energy which allows us to see. ■Light Pollution – Light that is directed to areas where it is not needed, and thereby interferes with some visual act. Light pollution directed or reflected into the sky creates a “dome” of wasted light and makes it difficult to see stars above cities. ■Light Trespass (Spill Light) – Light that is not aimed properly or shielded effectively can spill out at into areas that don’t want it: it can be directed towards drivers, pedestrians or neighbors. It is distracting and can be disabling. ■Line Voltage – See voltage. ■Lumen (lm) – A measure of luminous flux or quantity of light emitted by a source. ■Lumen Depreciation – The gradual decline in light output from a light source over time due to filament deterioration and bulb darkening. ■Lumen Maintenance – A measurement of how a lamp maintains its light output over time. ■Lumens Per Watt (LPW) – A measure of the efficacy (efficiency) of a light source. The number is achieved by dividing lumens produced by watts consumed. ■Luminaire – A complete lighting unit consisting of a lamp (or lamps), ballast (or ballasts) as required to distribute the light, position and protect the lamps and connect them to the power supply. A luminaire is often referred to as a fixture. ■Luminous Efficacy – The light output (lumens) of a light source divided by the total power input (watts) to that source. It is expressed in lumens per watt. ■Lux (lx) – A unit of illuminance or light falling onto a surface. One lux is equal to one lumen per square meter. Ten lux is approximately one footcandle. ■Maximum Overall Length (M.O.L.) – The end-to-end measurement of a lamp, expressed in inches or millimeters. ■Mean Lumens – The measured luminous output of a light source at: 40% of lamp life for fluorescent and metal halide lamps and 50% of lamp life for mercury, high-pressure sodium and incandescent lamps. ■Maximum of Diameter (M.O.D.) – The measurement of a lamp’s diameter, expressed in inches or millimeters. ■Mercury – Metallic chemical element, chemical symbol Hg, atomic number 80. Mercury is the only elemental metal that is liquid at ordinary temperatures, with a freezing point of -38 ºF (-39 ºC) and a boiling point of 674 ºF (356.9 ºC). It is used in Compact Fluorescent, Fluorescent and HID lamps. ■Modified Spectrum – Light sources that utilize neodymium glass or coating (composed of rare earth elements) to simulate true daylight. This special glass or coating filters out the yellow light produced by standard incandescent lamps. ■Nanometer – A unit of wavelength equal to one billionth of a meter. ■Neodymium – A rare earth element used to produce modified spectrum (full spectrum) incandescent lamps; also known as daylight or natural light. They use a colored glass shell to filter out the yellow light produced by standard incandescent lamps. ■Nominal Length – A measurement for Fluorescent lamp length based on the length of the lamp plus an allowance for the luminaire’s lamp holders. ■Open Fixture Rated – Lamps that are approved for burning in open fixtures (as opposed to enclosed fixtures which have an acrylic lens or plate glass enclosure). ■PAR Lamp – A PAR lamp, parabolic aluminized reflector, which may utilize either an incandescent filament, a halogen filament tube or a HID arc tube, is a precision pressed-glass reflector lamp. PAR lamps rely on both the internal reflector and prisms in the lens for control of the light beam. PAR lamps are also available using LED technology in which the lens is used to control the beam. ■Phosphor – An inorganic chemical compound processed into a powder and deposited on the inner glass surface of fluorescent tubes, CFL’s, LED’s and some mercury and metal-halide lamp bulbs. Phosphors are designed to absorb short wavelength ultraviolet radiation and to transform and emit it as visible light. ■Photometry – The measurement of light and related quantities. ■Power Factor (PF) – Measurement of the relationship between the AC source voltage and current. Power factors can range from 0 to 1.0, with 1.0 being ideal. Power factor is sometimes expressed as a percent. Incandescent lamps have power factors close to 1.0 because they are simple “resistive” loads. The power factor of a fluorescent and HID lamp system is determined by the ballast used. “High” power factor usually means a rating of 0.9 or greater. ■Pre-heat Lamp – A fluorescent lamp in which the filament must be heated by use of a starter before the arc is created. These lamps are typically operated with electromagnetic ballasts. ■Programmed Rapid Start – A fluorescent lamp-ballast circuit that uses a custom integrated circuit (IC), which monitors lamp and ballast conditions to ensure optimal system lighting performance. PS ballasts heat the lamp cathodes to 700oC prior to lamp ignition. This puts the least amount of stress on the lamp electrodes, resulting in maximum lamp life regardless of the number of lamp starts. Programmed-start ballasts are typically wired in series. ■Pulse Start – A fluorescent lamp-ballast circuit that is designed with an ignitor to ignite the arc tube. Due to this, bulbs have no need for the starter electrode. Pulse start lamps are typically more efficient than standard counterparts. ■Rapid Start – A fluorescent lamp-ballast circuit which utilized continuous cathode heating, while the system is energized, to start and maintain lamp light output at efficient levels. Rapid start ballasts may be either electromagnetic, electronic or of hybrid designs. Full-range fluorescent lamp dimming is only possible with rapid start systems. ■Rated Lamp Life – The length of time of a statistically large sample between first use and the point when 50% of lamps died (no longer operating). ■RoHS – RoHS, a European directive, stands for the Restriction on hazardous Substances. RoHS is a regulation for the restriction of the use of certain hazardous substances in electrical and electronic equipment. ■Self-Ballasted Lamps – A discharge lamp with an integral ballasting device allowing the lamp to be directly connected to a socket providing line voltage. ■Spectral Power Distribution (SPD) – A graph of the radiant power emitted by a light source as a function of wavelength. SPDs provide a visual profile or “finger print” of the color characteristics of the source throughout the visible part of the spectrum. ■Starter – An electronic module or device used to assist in starting a discharge lamp, typically by providing a high-voltage surge. ■Starting Temperature (Minimum) – The minimum ambient temperature at which the lamp will start reliably. ■Task Lighting – Lighting designed for a specific visible operation (task) which requires higher light levels; requirements vary according to the proximity to that task and the level of detail involved. ■Total Harmonic Distortion (THD) – A measure of the distortion of the input current on alternating current (AC) power systems caused by higher order harmonics of the fundamental frequency (60Hz in North America). THD is expressed in percent and may refer to individual electrical loads (such as ballast) or a total electrical circuit or system in a building. 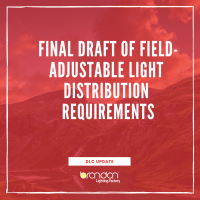 ANSI C82.77 recommends THD not exceed 32% for individual commercial electronic ballasts, although some electrical utilities may require lower THDs on some systems. Excessive THDs on electrical systems can cause efficiency losses as well as overheating and deterioration of system components. ■Toxicity Characteristic Leaching Procedure (TCLP) – The Toxicity Characteristic Leaching Procedure (TCLP) test, specified in the Resource Conservation and Recovery Act (RCRA) of 1990, is used to characterize fluorescent lamp waste as hazardous or nonhazardous for the purpose of disposal. The TCLP test measures the ability of the mercury and/or lead in a lamp to leach from a landfill into groundwater. ■Transformer – An electrical device by which the alternating current of one voltage is changed (stepped up or down) to another voltage. ■Tri-Phosphor – Fluorescent lamps that utilize red, green, and blue phosphor compounds that glow to produce light similar in color rendering to regular illumination. ■Tungsten – A hard, brittle, corrosion-resistant, gray to white metallic element extracted from wolframite, scheelite, and other minerals, having the highest melting point and lowest vapor pressure of any metal. Tungsten and its alloys are used in high-temperature structural materials; notably lamp filaments. Underwriter’s Laboratory (UL) – A private organization which tests and lists electrical (and other) equipment for electrical and fire safety according to recognized UL and other standards. A UL listing is not an indication of overall performance. Lamps are not UL listed except for compact fluorescent and LED lamp assemblies – those with screw bases and built-in ballasts. ■Voltage – A measurement of the electromotive force in an electrical circuit or device expressed in volts. Line voltage in the USA is 120V. ■Watt – A unit of electrical power. Lamps are rated in watts to indicate the rate at which they consume energy. ■Xenon –A noble gas used in lamps, typically Xenon lamps offer brighter, whiter light than standard incandescent.